I read an article recently about “obligation to dissent“. It’s an interesting phrase with some important concepts behind it. 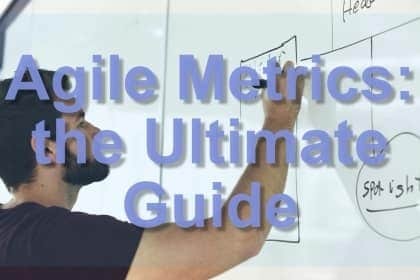 Some of these concepts tie closely into the principles of Agile. Some organisations foster a culture where dissent is welcome, others don’t. This is an important clue to the overall health of that organisation and its culture. What is the “obligation to dissent”? when an in-flight project is being presented to senior stakeholders as being “green” or going well, when in fact it is not. We’ve probably all encountered examples like this. I believe it is healthy for an organisation to encourage people to speak up, criticise, and be transparent about bad news. Criticism should, of course, be thoughtful and constructive, and not harsh or personal. As in, “I don’t think that is a good idea”, rather than “you’re an idiot and your ideas are crap”. You might have heard about diversity and the large body of evidence that it is advantageous for an organisation. I think we can all agree on that. But criticism (or an environment where it is safe to criticise) is important too. There was a study (sorry I don’t have a link) I came across when I was doing my Masters. In this study, a large group of people were divided into teams, and each team was given a series of complex challenges to solve, that required teamwork and critical thinking. Half of the teams had a secret “plant” in the team, who was part of the study. Their job was to challenge and criticise other people’s ideas. Between rounds, the teams could “vote off” people who they didn’t think were performing. The results? In case you hadn’t guessed: the teams that had the “critical” person planted in the team outperformed the other teams. And, sadly, some of them “voted off” that person (who was responsible for improving their performance). I guess not everyone likes a critic. If you like Agile, you should value criticism and dissent. Remember, transparency and honesty and trust are very important to agile software development. These are core values of Scrum. If people think their project is in trouble, they should speak up. If they think the product owner is going in the wrong direction, or not doing right by the customers, they should speak up. However, what is vitally important is that people feel they are in an environment where it is safe to do so. Where people respect them and listen to them. And where they won’t get shouted down or fired for speaking up. We can only have transparency and an environment with an obligation to dissent when we are safe. People need to feel safe at work. Safety is enormously important. 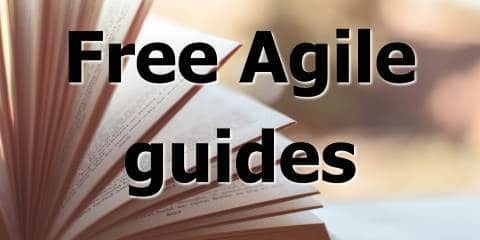 It’s so important, it is one of only four guiding principles of the Modern Agile movement: “make safety a pre-requisite”. A couple of years ago I read Leaders Eat Last by Simon Sinek. It’s a bit repetitive but it’s a good book. It talks about safety an awful lot. Sinek says good leaders create a “circle of safety” for their people. That is what leadership is about: people feel safe and protected by their leaders. is my job about to be outsourced to an offshore call centre? will this email get forwarded all over the company by someone who doesn’t like me? is that manager spying on me? is it OK if I challenge this terrible project? will I get in trouble if I tell the stakeholders that we aren’t going to make the release date? These are things that some people worry about every day, and that’s awful. Transparency and honesty require safety. It is the responsibility of leaders to put safety above everything else. If you want to know more, read Sinek’s book. He backs these ideas up with some interesting brain science around the chemicals that govern our behaviour and emotional responses. One thing to consider is that according to this line of thinking, dissent is an obligation, not a right. That means people aren’t just able to speak up if they want to, they are supposed to. And they are not doing their jobs if they don’t. Some people might feel it a bit extreme. They might think people can choose to or choose not to. I don’t really agree. I think if people don’t speak up when they probably should, then that is a form of dishonesty. It is a “lie by omission”. If you ask a team if they are any problems, and everyone keeps their mouths shut even though they know things are going badly, they’re not being honest. Again, this goes back to safety. If people feel safe, they will speak up. There will be dissent and an honest sharing of opinions. If people feel threatened, or their positions are at risk, they will be silent. And everyone will suffer.